Case in point, Thor, directed by Kenneth Branagh and starring Chris Hemsworth, Anthony Hopkins and Natalie Portman, meets all these criteria flawlessly. 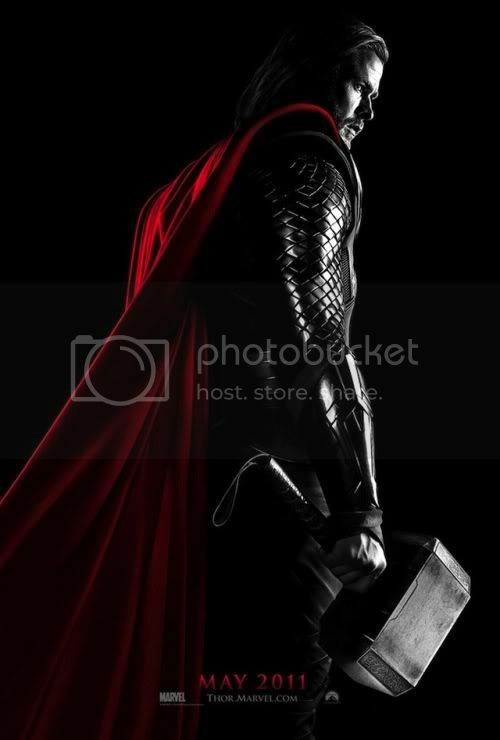 The film tells the story of Thor (Hemsworth), Norse God of Thunder, heir to the thrown of Asgard, and possessing unfathomable power in the form of the ancient weapon Mjolnir, a horrifying concept when you consider that Thor seems of have the emotional maturity of a spoiled 8-year-old and the wits to match. In fact, it’s hard to say who’s the bigger threat to the large and shiny realm of Asgard; him or the 10-foot-fall Frost Giants, who went to war with the Asgardians centuries ago and got their glacial asses handed to them. Since then, they’ve lived in quiet resentment, waiting for the day they can have their revenge and filling their time making ice sculptures and snow angels. A chance for some payback for these Frost Giants come in pursuit of a super weapon called The Casket of Ancient Winters (gotta love Marvel). As you might expect this episode ratchets up the animosity between Odin and his group and Frost Giants. After earning the decisive victory, Odin wants to forget the whole thing ever happened, but not Thor, oh no! 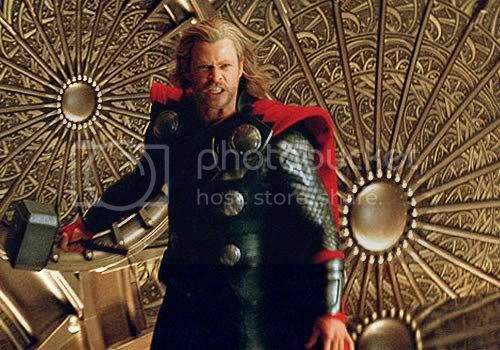 The thunder god sets out - against his Father's wishes - to sanitize the homeland of the enemy. After decorating the landscape with Frost Giant innards and drop-kicking the family dog, Thor and company find themselves surrounded, only to be saved at the last second by Odin, who takes a dim view of his son creating an international (or is it interdimensional?) incident. He strips Thor of his hammer and his powers and banishes him to the level of Hell known as New Mexico, where he meets Jane Foster (Portman), an astrophysicist who wanders the desert studying wormholes. As Thor learns about man’s world, deeds most-foul begin a-brewin' on Asgard, being carried out by Thor’s ambitious and twisted half-brother Loki. Seriously, though, when you’re the God of Mischief, causing trouble is pretty much all you’re good at. Most Marvel films follow a similar equation of bright costumes (the exception being the rather suggestive leather-clad X-Men), heartfelt moments of self-discovery and a three-digit body count. Thor settles comfortably into this pattern, and by the time the credits roll, it’s safe to say that the coroners of Asgard and Jotunheim are going to have an full workday ahead of them. Hemsworth seems like he’s trying to squeeze every ounce of drama out of his role, and while that seems the norm for Asgardians to deliver every line like it’s their last, it got old fast. Though I have to say, I’m sensing a pattern here with her hanging out with superheroes... Star Wars, V for Vendetta, and now this? Guess she’s just too good for ordinary fan boys like us. The CGI is blindingly intense, and for the most part well done, though at times it got to be a little much, making the acrid wasteland of New Mexico a welcome change. Asgard is epic in its golden beauty, while Jotunheim is an arctic wasteland that probably gave the World of Warcraft guys an idea for their next game. As for New Mexico, well, it’s New Mexico. There’s only so much we can do with computer graphics. Comic nerds won’t be disappointed by Thor, and I’m sure there’s going to be a few squeals of delight at the foreshadowing we see and the cameos by other Marvel characters. For the casual filmgoer, the action’s plentiful and the comedy lighthearted and well-placed. Just remember kids, a hammer is not a toy. Unless you’re facing Frost Giants. 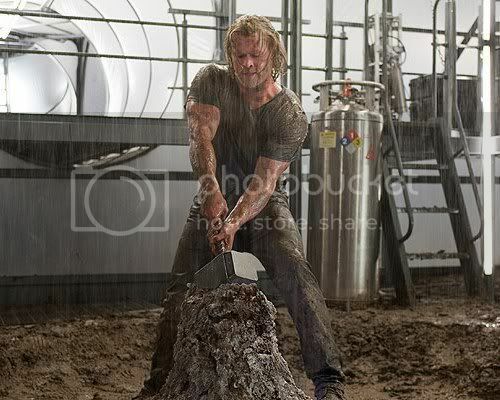 In that case, smash ‘em all and let Odin sort ‘em out.